Well, we had yet another snow storm when the kids missed a day of school and had a 2 hour delay the following day. Between snow days, holidays, illnesses, and random teacher workdays, I feel like there has not been a single week when both of my kids have gone to school every day since December. Needless to say, it’s put quite a dent in my productivity. On the reading front, I’m ploughing through books for my 2018 Summer Reading Guide (coming in May). As you’ll see below, I’m being especially quick to DNF books right now as I try to find the best fits for the guide. I’m not sure I can even call it DNFing at this point, maybe sampling is a better word? I’m slowly working my way through Tools of Titans by Tim Ferriss, a collection of highlights from interviews he’s done with various stars of their fields. It’s chock full of awesome tidbits, so I thought I’d share the most helpful tip I pick up each week. I’m currently in the ”Wealthy” section. I constantly tell myself I’ll do something “when I have more free time, when the kids get older”, etc. Though I’m not trying to start Paypal, I think it would do me some good to take Peter Thiel’s advice to heart. If you go back 20 or 25 years, I wish I would have known that there was no need to wait. I went to college. I went to law school. I worked in law and banking, though not for terribly long. But not until I started Paypal did I fully realize that you don’t have to wait to start something. So if you’re planning to do something with your life, if you have a 10-year plan of how to get there, you should ask: Why can’t you do this in 6 months? My second 5 star novel of the year! I was absolutely engrossed in these characters’ lives. You’ll like it if you liked The Interestings (and maybe also if you didn’t, per Annie Jones of From the Front Porch podcast). Mini review coming. The perfect palate cleanser after The Female Persuasion. Smartly written essays about a woman’s life in her 20’s and 30’s and the quintessential New York City stories. Mini review coming. I’m about 20% through this debut novel about a working-class mother and daughter that was recommended by Susie at Novel Visits and Tara at Running N Reading (it was also a Read it Forward Favorite of January 2018). The writing is great, I’m enmeshed in the characters’ stories, and am looking forward to seeing where it goes. I’m on the hunt for candidates for my 2018 Summer Reading Guide (coming in May), so I’m being very quick to put books aside. I may come back to some of these if I hear good things from someone else. Or, some may be books I want to read eventually, but I suspected they wouldn’t be great fits for my Summer Reading Guide. One Year Ago: I was reading one of my 5 star reads of 2017…about going to Mars (and it’s not The Martian). Two Years Ago: I’d just finished an underrated gem about a bunch of middle age men’s odd annual tradition. I’m so glad to hear you liked The Female Persuasion! I have it on hold and I can’t wait to read it. Too bad about How to Be Safe. I’ve been looking forward to that one. I can see myself going back to How to Be Safe…I just didn’t think it would end up making the Summer Reading Guide, so put it aside. 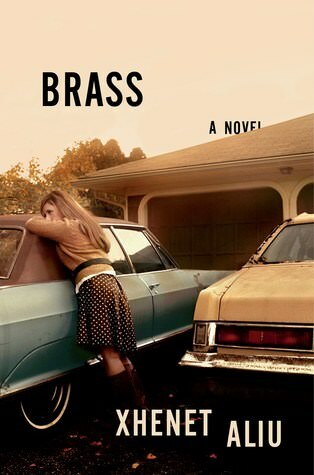 I love the cover of Brass and can’t wait to see what you think of it. Oh, I’m disappointed about How to Be Safe. I’d looked forward to that one. I’m about half way through with Go Ask Fannie and though I didn’t care for all the bickering between the 3 adult kids, when the story shifted to Lillian (the mom) it became much more interesting. It won’t be a book I rave about, but it’s okay. Happy to hear that you’re liking Brass. I can see myself going back to How to Be Safe…I just didn’t think it would end up making the Summer Reading Guide, so put it aside for now. I can’t wait to read Meg Wolitzer’s new novel and am considering Brass, so will keep an eye out for your final thoughts. Hope winter lets up soon! I am eager to get my hands on The Female Persuasion. I also love the look of Brass. 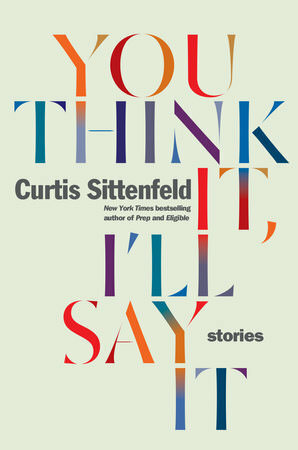 I’ve enjoyed a couple of books by Sittenfeld (American Wife & Sisterland). I don’t usually like short stories either…but I may give this new one a try. Interesting assortment of books. All are new to me. All the winter weather has been missing my area this year. We actually could use some snow to catch up to our annual average. Come see my week here. Happy reading! Now I am worried about How to be Safe. I hope it is better than you initially thought! Argh I have Go Ask Fanny on my list … hope I have better luck. Sorry about all the distractions- it must feel overwhelming. I am so happy to hear about the Wolitzer! Sounds like it made up for the Quindlen. I’m reading a ghost story/thriller kind of thing right now that’s working really well, but will hit Wolitzer next. Those darned kids – hahaha! 😉 I would DEFINITELY need a break, Sarah! Whew! I’m so, SO, excited to hear that both the Wolitzer and the new Crosley collection worked out well for you; I can hardly wait! I caved and pre-ordered a copy of the Wolitzer (Amazon links for the win!) because I can’t wait on the library…sheesh. I’m also really glad to hear that you’re enjoying Brass; excited to hear your final thoughts! Disappointed to hear you weren’t a fan of How to Be Safe! I just added Brass to my TBR so I’m looking forward to seeing what you think! I hope the kids get back to school soon. All this snow seems to be disrupting everything. Have a great week! Just finished “Winter Sisters” by Robin Oliveira. I loved the strong female characters of all ages. The story is set in Albany, New York in the 1870s-1880s and it was fun to read about what the area around State Street, Maiden Lane, and Washington Park looked like 140 years ago. I also recently read Steve Yarbrough’s “The Unmade World.” This was an amazing story and I couldn’t put it down. I finished it in one day. I am currently slogging my way through “Anatomy of a Miracle” by Jonathan Miles. I know that it is getting all kinds of rave reviews but I am just not feeling it. I am also reading “The Invention of Ana” by Mikkel Rosengard. I can’t make up my mind about this book – but I am intrigued by the story line. I’ve never read anything by Meg Wolitzer, but a 5-star rating from you is so rare I think I will definitely have to find this! I’ll be interested to see what you decide about Brass overall. I struggled a bit with Lulu’s 2nd-person voice (“you”), but I do think it’s a great story. 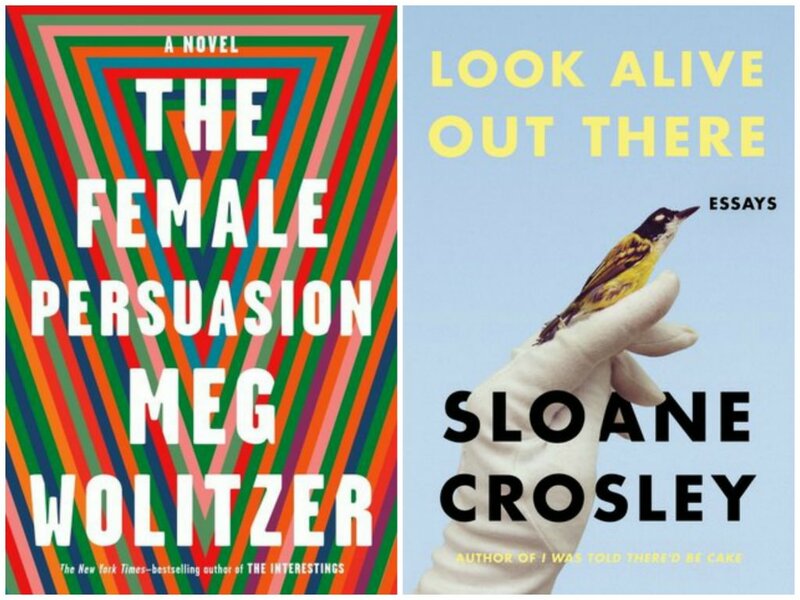 I just read The Interestings – my first Meg Wolitzer – and I’m not sure what to make of it. I loved the writing and how well we got to know the characters, but I didn’t love that the pacing was so uniform. I didn’t feel like there were any particularly exciting parts, even though there is maybe one event I’d point to as the one that most shaped the characters’ lives.